Some stress is inevitable, and all of it is not bad. But when stress overwhelms you and affects your quality of life, it’s gone too far. And sometimes, when stress gets to that point, it’s hard to turn things around. It’s said that an ounce of prevention is worth a pound of cure, and it’s true regarding stress as well. Here are five strategies for stopping stress before it starts to overwhelm you. Whether you join a choir, take up a sewing class, or join a bowling league, doing something with friends on a regular basis can help keep stressful feelings from piling up. Studies have actually shown that a lack of social relationships can actually have a negative effect on your health that’s comparable to smoking. And when you do have stressful situations, having that group of friends in your life can help you manage those situations better. So making time to be with friends can be a bit of insurance against future stress. Making a habit of taking breaks between tasks helps your mind reorient itself. It’s not unlike pushing a reset button. It doesn’t have to be long, but a 2- or 3-minute pause before you move from one thing to another helps keep cortisol levels low, experts say. (Cortisol is a steroid-like hormone that your body produces in response to stress, and it can have a negative effect on your health if it’s constantly present.) So scheduling in a few minutes to regroup between tasks, conversations, and events can help a lot to stave off cumulative stress. 3. Go Out in the Woods! Okay, it doesn’t have to be the woods. But getting out into nature has been shown to be a significant stress reducer. Like all of these preventative measures, try to make it a regular thing, such as daily or weekly. If you can’t take a walk in nature each day or week, you can download nature sounds to listen to, and you can also look at pictures of natural settings. Still, try for the “real thing” at least once a month. A healthy diet keeps your body in top shape. Consume lots of fresh fruits and veggies, and foods with healthful fats, like salmon, flax seeds, avocado, and olive oil. Eat whole grains rather than refined ones, and keep sugar at a minimum. A good multi-vitamin is also important, and an additional B-complex supplement can help build immunity and strengthen your body to cope with stress. This is the one no one wants to admit is necessary, because it seems like so much trouble. But there’s no doubt that regular exercise reduces stress; research has shown this over and over. Perhaps you can combine the need for regular exercise with the need to socialize, and join a Zumba class or take martial arts. Taking control now can prevent stress from piling up and causing a host of health problems. Take care of yourself first, and your mind and body will thank you! Disclaimer: This website is not a substitute for consultation with your health care giver. You should not use any of the exercises or treatments mentioned in this website, without clearance from your physician or health care provider. Disclosure: When I mention products, you must assume I will receive compensation for doing so. However, I only recommend products and services I myself use or believe in and would recommend to my own sisters and mother. Nevertheless, you should perform your own due diligence before purchasing a product or service mentioned in this website. Welcome! If you want to know when there's something new on the blog, please subscribe to my RSS feed. 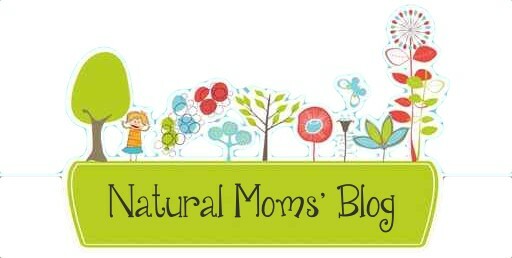 For exclusive information and special offers, sign up for the free Natural Parenting Newsletter. Thanks for visiting! Spread the love - share this on social! Hi! 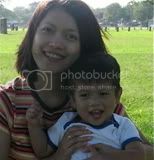 I am Lexi, a work at home Mom, certified childbirth educator and natural parenting advocate. SAVE MONEY On These Natural Parenting & Eco-Friendly Products! 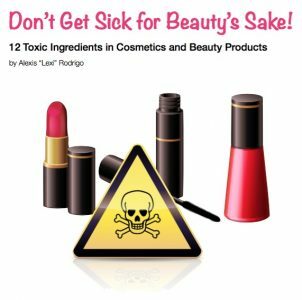 Cleaning Without Toxins – A Dirty Secret? You should assume that the owner of this website is an affiliate for providers of goods and services mentioned on this website and may be compensated when you purchase from a provider. To learn more, click here.